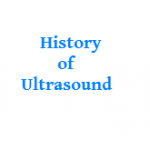 If you want to know the history of ultrasound, this is the right place for you. 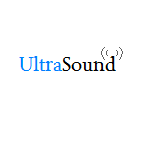 The earliest notions of ultrasound were developed in the late 19th and early 20th centuries in Europe. In particular, the French government during World War I assigned physicist Paul Langevin the task of creating a device capable of detecting underwater enemy submarines using high-frequency sonar. Over the next few decades, many experimented with the military, scientific and industrial potential of ultrasound technology. However, its use as a diagnostic medical tool did not begin to emerge until the early 1940s with the work of neurologist and psychiatrist Karl Dussik of the University of Vienna. Working with his physicist brother Friederich, Dussik used an ultrasound beam to search for brain tumors and locate the cerebral ventricles, cavities in the brain containing cerebrospinal fluid. Other pioneers in America and Europe continued expanding the scope of diagnostic medical ultrasound throughout the next half century. They used it to detect an increasing variety of medical conditions and made advances in hardware and imaging quality. Ian Donald working in Glasgow during the 1950s in particular pioneered the use of ultrasound in monitoring fetal development. He also published a seminal diagnostic study in 1958 after working with a team to develop a prototype ultrasound machine dedicated to medical diagnosis. 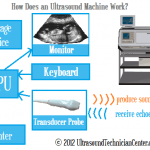 Over time, ultrasound machines became smaller and more portable. 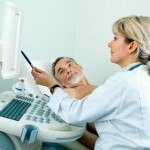 Ultrasound pictures became sharper, and the development of two-, three- and four-dimensional images as well as Doppler imaging enabled medical professionals and patients alike to better understand what ultrasound test results revealed. The medical profession gradually came to accept sonography as a distinct healthcare occupation, and, in 1973, the U.S. Department of Education recognized it as a profession in its own right. Since then, diagnostic medical sonography has grown into its present, indispensable role within the practice of medicine worldwide.